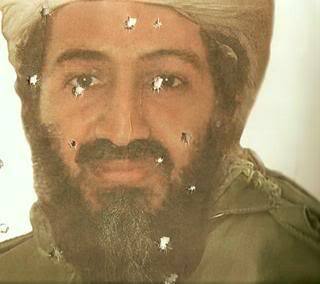 Someone who looks good with bullet holes in him. As someone who watched 9/11 unfold I can only say that today is a great day for the United State of America that Osama Bin Laden is dead. Justice has been delayed but well served. Don’t mess with the USA, no matter how long it takes we’ll get you! Dude, OBL’s dead since 2002, USA are beating a dead dog. Nothing to cheer about here either.